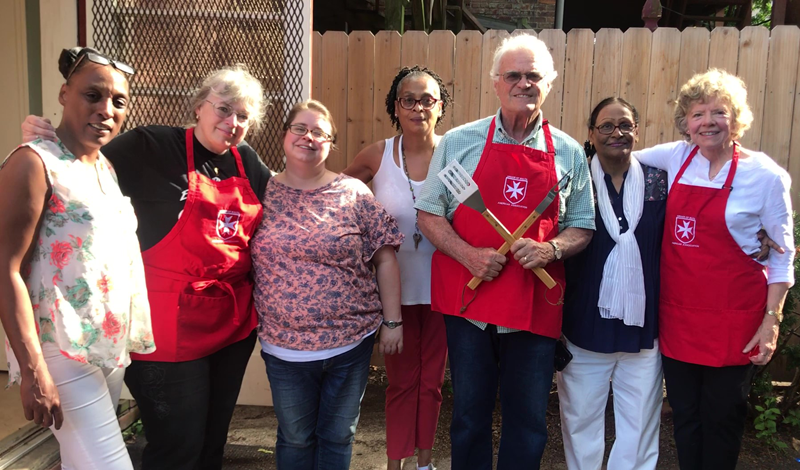 Early in the evening on July 18th, Upstate New York Area members prepared and served a picnic supper for the residents and staff of Mercy House, a women’s shelter operated by Catholic Charities in Albany. The Area has provided a summer picnic supper with gifts for the Mercy House Shelter for the last several years. Pictured above are participating Area members with some of the Mercy House’s staff members. Click here to learn more about the Upstate New York Area’s Spirituality in Action.